It seems like every day there is a new social platform – Twitter, Facebook, Linkedin… Pinterest… what’s next? I’m about to recommend something very un-Shareaholic: You don’t have to participate in every single social network to promote your blog. Doing so only stands to dilute your efforts. Rather than doing that, focus your energy on the ones where your readers are actually engaging. 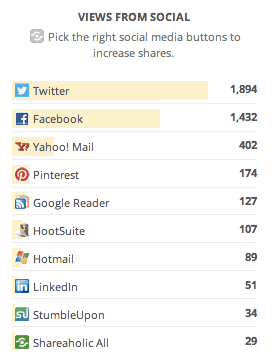 With Shareaholic Analytics, you can get a sense for where your readers already are with the “Views from Social” report. This shows you the social networks that are already sending you a lot of visits. 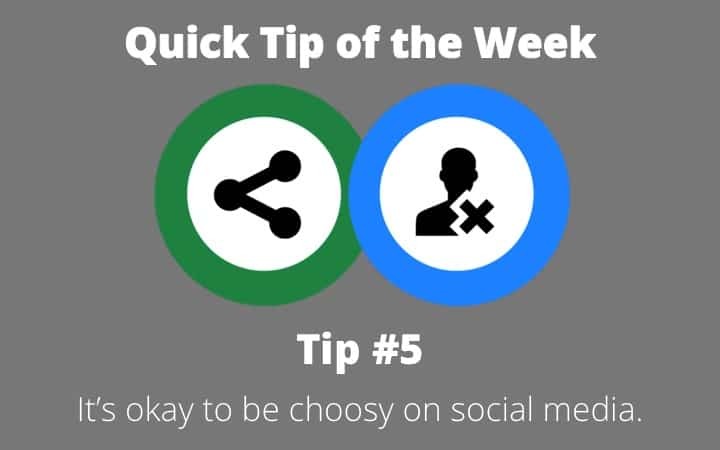 Use this intelligence to prioritize which social platforms you include in your share buttons set and which social media platforms you spend time engaging in. You don’t have to boil the ocean – you just need to engage where it counts. Like “Quick Tips” like this? Subscribe below so you never miss a post from us.